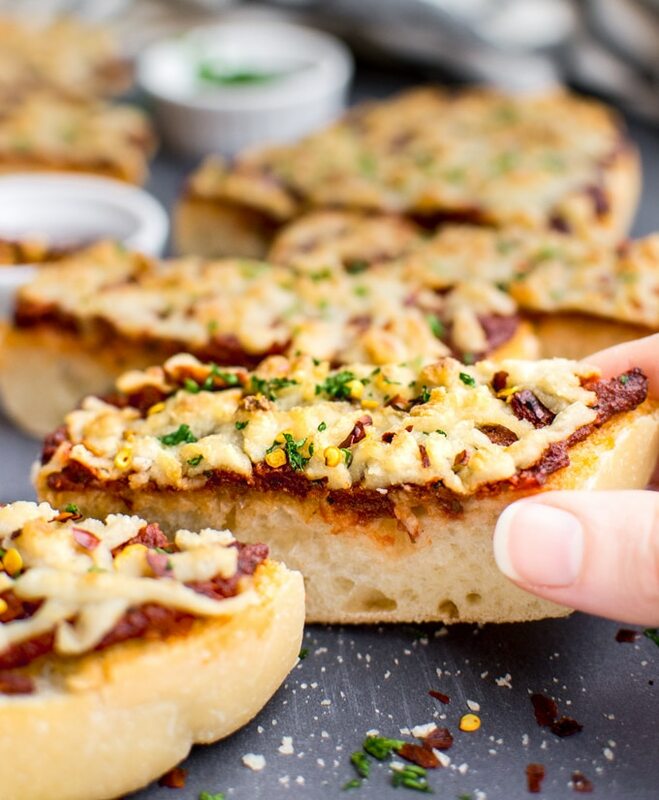 Vegan french bread pizza is a dinner everyone will love! 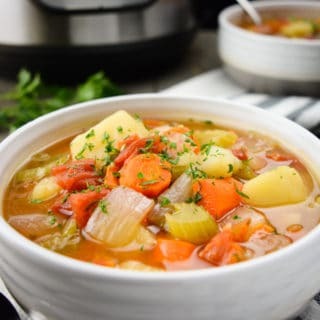 It’s perfect for busy week nights or lazy weekends. 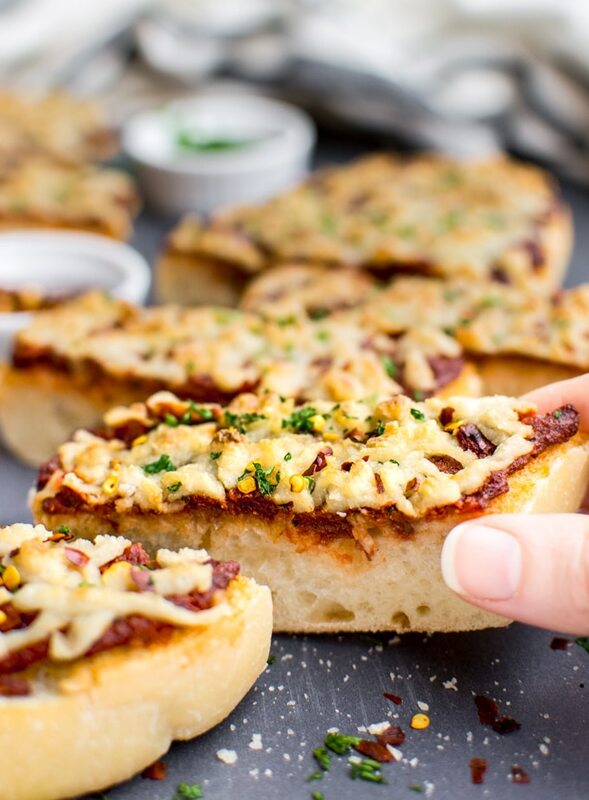 Pile on the vegan cheese and let the kids add their favorite toppings for a simple and delicious meatless meal! Quick family meals are must on those days I just don’t feel like cooking. 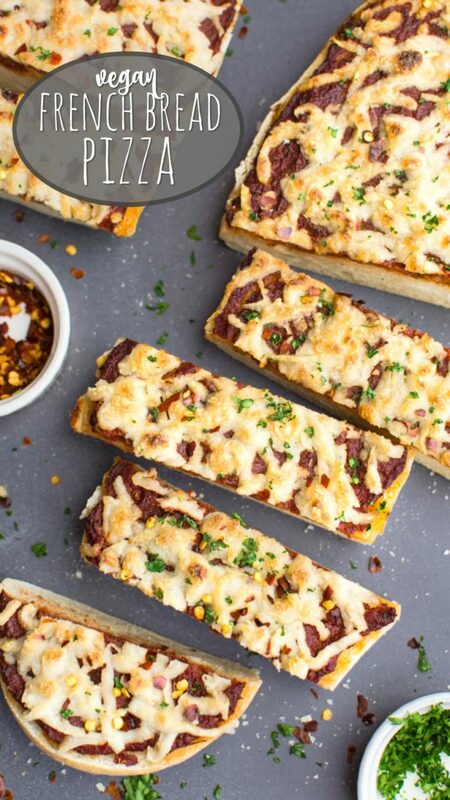 That’s when this french bread cheese pizza comes in to play! 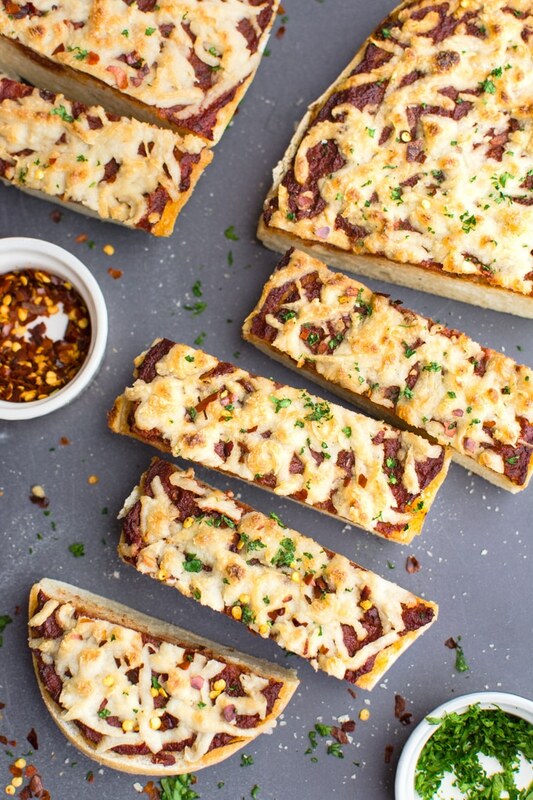 It’s super easy to make, kid approved and completely customizable, which means everyone will love pizza night! Throw on a movie, grab some drinks and relax because dinner only took 5 minutes to prepare! Looking for a quick, last minute party idea? 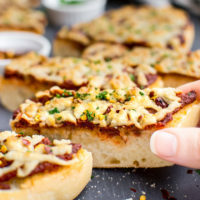 French bread pizzas are just the thing! Cut the vegan pizzas into 1-2 inch slices and serve with extra marinara sauce for dipping. 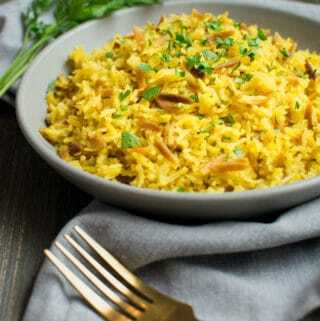 It’s a finger food everyone will enjoy! 1. Cut a loaf of vegan french bread in half. 2. Spread pizza sauce on both halves, sprinkle on the cheese and add your favorite toppings. Vegan cheese pizza is great with your favorite toppings. 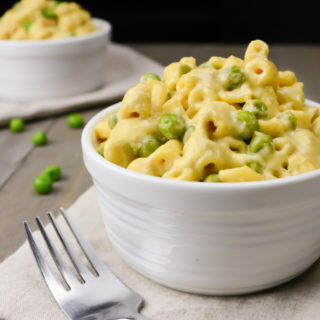 Use up leftover veggies from the fridge or keep it simple with just cheese. The options are practically endless!! 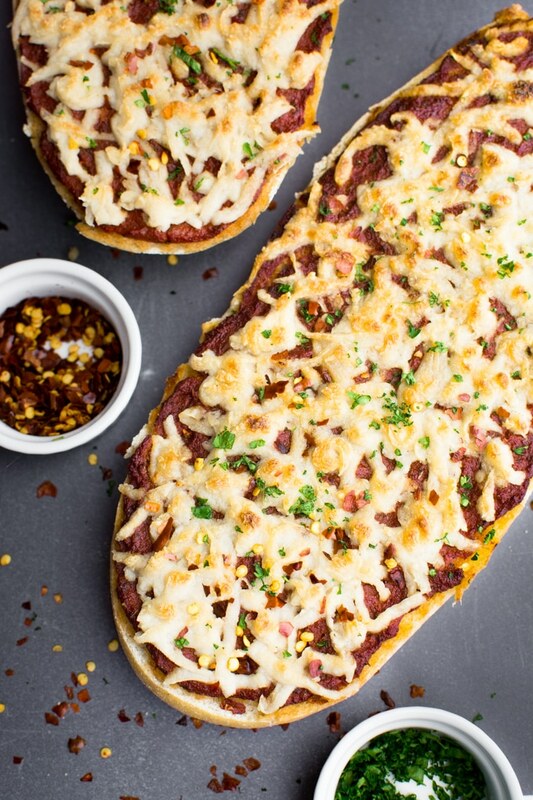 If you loved this vegan cheese pizza recipe, please leave a 5-star rating in the recipe card and share your thoughts in the comments below. Also, if you snap a photo be sure to share it with us! We love to see your creations! You can find us on Pinterest, Facebook, and Instagram. 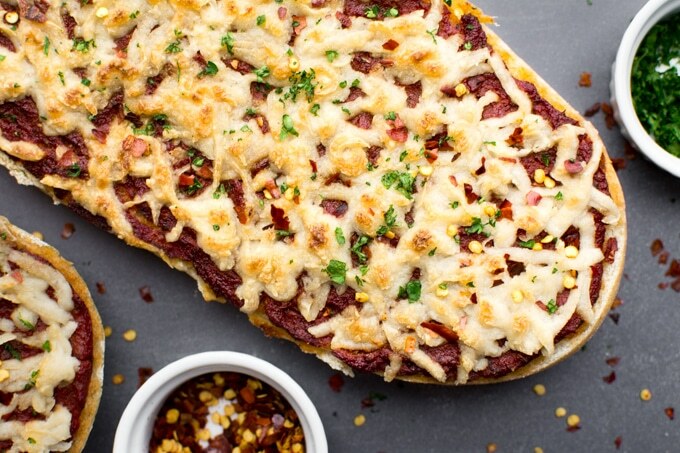 Vegan pizza is a dinner everyone will love! Sprinkle with cheese and let the kids add their favorite toppings for a simple and delicious meatless meal! 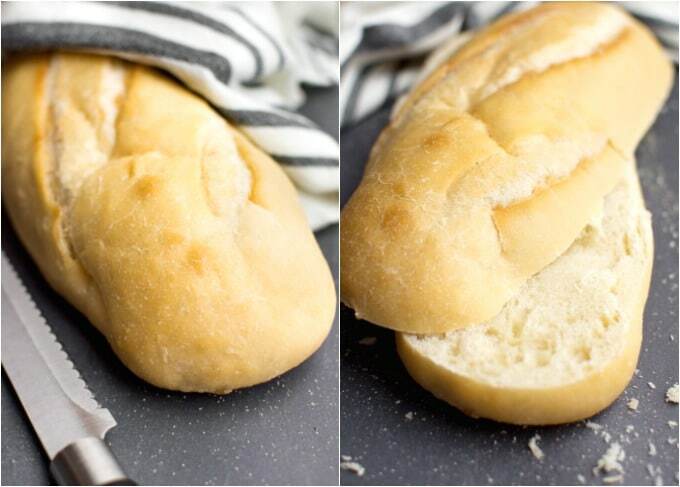 Slice the loaf of French bread in half lengthwise and place on a baking sheet. 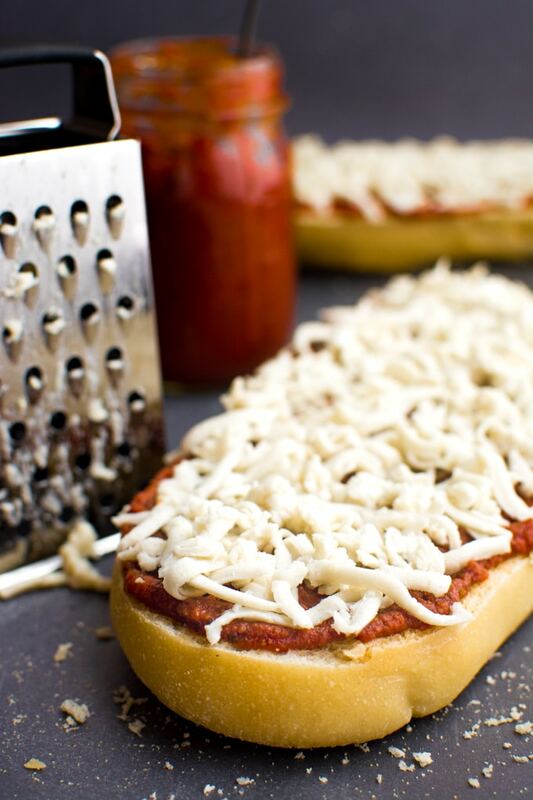 Spread the marinara sauce evenly over both cut sides of the bread. Top with vegan cheese and your favorite pizza toppings. Bake at 400ºF for 10-13 minutes. Let cool for a minute or two. Cut and serve. My favorite French bread is linked above. I've been able to find it at Costco.